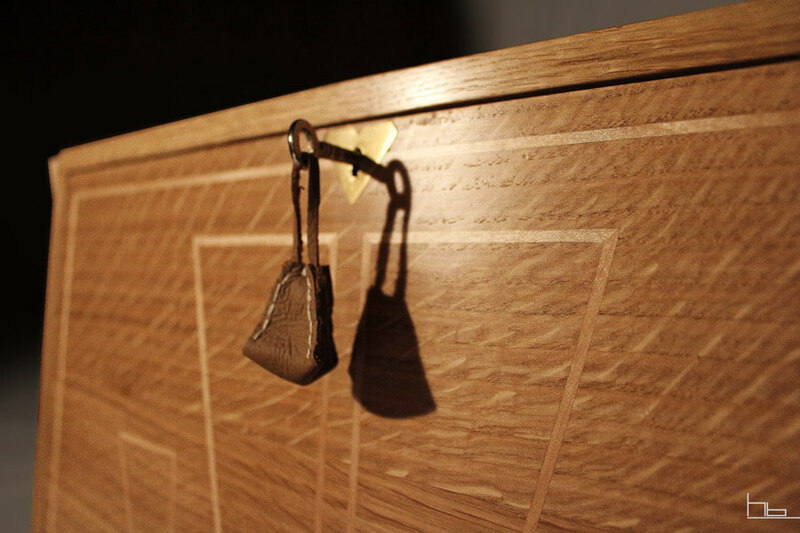 This chest was a bespoke wedding gift. Its purpose is to become a family heirloom, collecting and storing memorabilia over the passage of time. 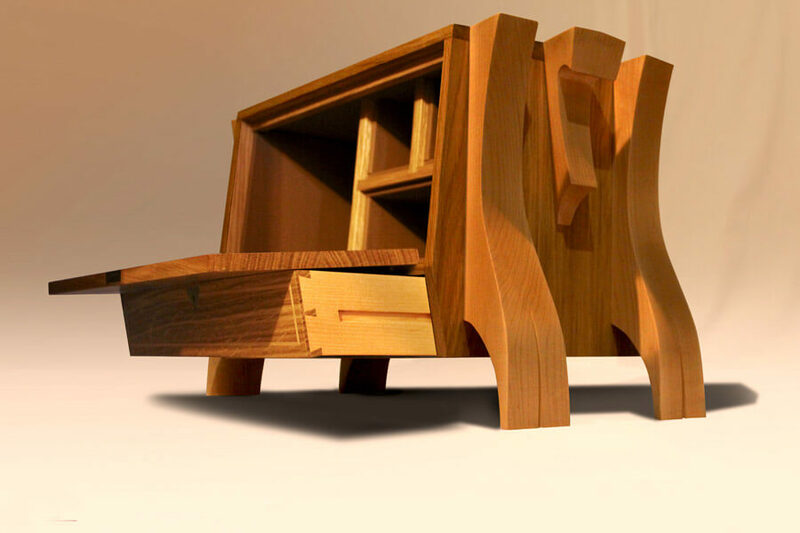 It is hoped that many generations will enjoy the family treasures stored within. 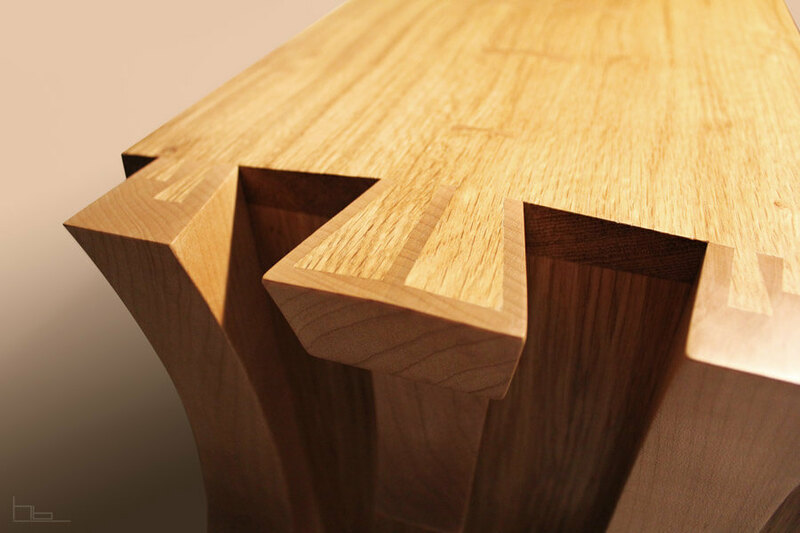 Client specified the feature of dovetails. 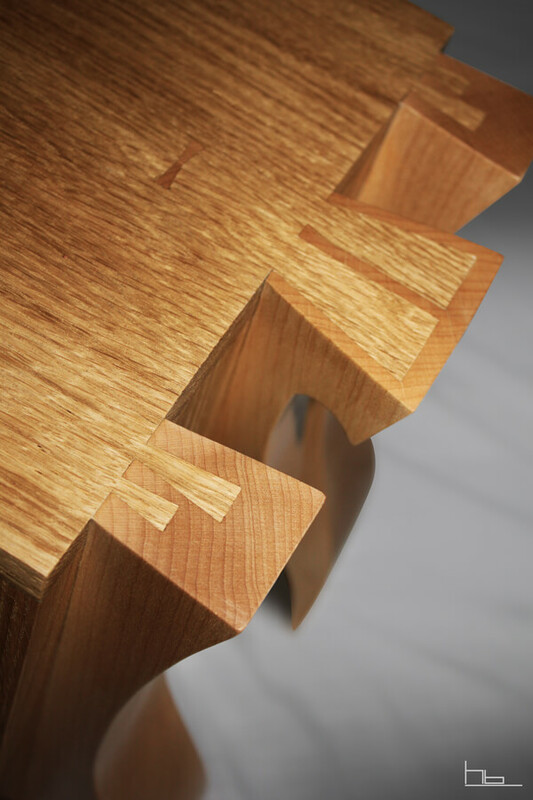 The inlay is a stylised representation of the dovetail joints which tie the handle to the top panel. 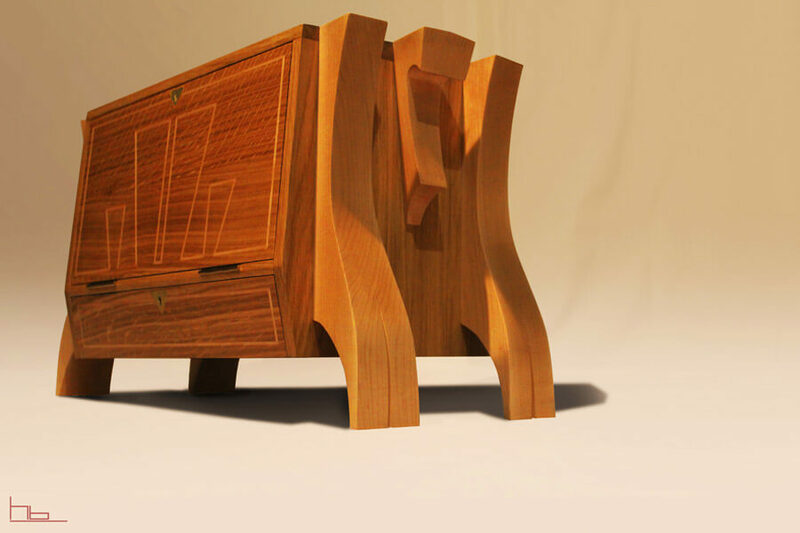 Constructed using traditional joints with a bold spin of modern design on legs and handles. It is lined with finest leather and finished with solid brass hardware. I hand filed the escutcheon plate into the shape of a heart as befitting a wedding gift.